Share your expertise to earn attention from the right people. A guest blog post is authored by you but published on someone else’s blog. By quickly growing a small portfolio of 3-5 guest posts on well-known blogs in your industry, you create a self-marketing campaign to show current value to potential employers. And this is true for any job seeker- employed or unemployed, salary worker or freelancer. 1. New achievements – Being published on major websites or blogs will give you some recent achievements to mention on your job search. Particularly effective if you’re on a long job search and haven’t had any professional successes since your last job. 2. Proof of value – Your guest blog posts will show that your knowledge is valuable now and that your skills are still up-to-date. 3. Publicity – After all, your work will appear in public on some of the most popular blogs in your industry. 4. Personal branding – as your guest posts introduce you to the blog audiences, people will associate the topic of expertise with you. 5. Long-term impact – blog posts usually stay available in a host blog’s archives forever, giving you the opportunity of creating something now that will continue engaging people for years to come. 6. References – have fresh LinkedIn recommendations added to your profile from happy host bloggers you contributed to. 7. Bolster your online presence – showcase your published posts via your LinkedIn profile’s Publications section and the “Contributor to” (Links) section of your Google+ profile. 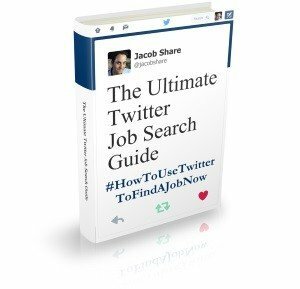 Most importantly: you might attract job inquiries on the strength of your guest posts alone, whether from readers you impressed or even from the websites you submitted content to. You will need the url of a website that you can send people to for professional reasons. If you blog about your profession, use your blog. You might also consider one of your social media profiles such as Twitter or Facebook, if you’re using those networks for work purposes. At minimum, complete your LinkedIn profile and use that. Whatever you choose, it needs to be a webpage that has your contact information clearly indicated. You want employers to find you, right? You’re now looking for blogs to submit guest posts to. Googling “top blogs [your industry] twitter list”. The results will include both articles and Twitter Lists of bloggers in your industry. Once you’ve found the top blogs in your industry, research which articles were most popular on each of them. A blog is more likely to accept your guest blog post if they think it will attract many visitors, growing the blog itself and helping the host blogger achieve their goals. The easiest way to figure out what will be popular on that blog is to be inspired by what already was popular on that blog. Not to copy past ideas, but to see what kinds of articles their audience appreciates. Checking the blog itself for a section titled Popular/Best Of/Most Read/Trending or similar, and then look to see which ideas are featured there. Searching through popular social media like Pinterest or Twitter for the name or domain name of the blog in question. Based on your research, come up with an idea for a guest blog post that could be popular on as many of the top 5 blogs as possible. Based on your research, estimate which of the top blogs you are most likely to impress with your guest blog post. If that blog has specific guest posting guidelines, follow them carefully. They may want you to contact them before you spend time writing anything! Otherwise, get started on creating the content. If you like to write, this might now be the easiest step- take your guest blog post idea and write it up. If you don’t like to write, make a list of ideas that need to be explained in your blog post, and then use a freelance marketplace to find a writer who can turn your list into a guest blog post. [Your Name] is a [last/current job title] from [where you live], specializing in [your 1-3 best skills]. [He/She] recently [mention your best, relevant professional achievement from the past 12 months]. Find out more about [Firstname] from [his/her] [the name of your web presence]. Contact [Firstname] now at [where to contact you] as [he/she] is currently available for new opportunities. Write your blog post in Google Docs and save it as an HTML file, which will make it easier for the blogger to publish. If that sounds too complicated, a Microsoft Word doc file is usually good enough. Websites are always looking for good content and to them the best content is value-packed, free, original, targeted and ready to be published. Now it’s up to you to deliver. Unless the blog’s guest posting guidelines say differently, look for a contact form or an email address on the blog that you can use to contact the blogger or site owner. Send a short email briefly introducing yourself and offering the attached, already-written, never-published-anywhere, guest blog post for their publication. In the next sentence – summing up your research – explain why you think the article will be popular with that blog’s audience. My name is [your name], and I’m a [last/current job title] from [where you live]. I’m trying to add to my portfolio by submitting my best work to top blogs. After spending a little time studying [their blog’s name] to see what’s most popular, I put together the attached guest post for you, titled “[your guest blog post’s title].” It’s 100% original and has never been published anywhere else. If I don’t hear from you by [3 business days from now], I’ll assume you’re not interested. If they say yes, great! Then repeat steps 3-5 with a different top blog. If they say no, that’s fine, but try to find out the reason for the rejection even if they might not tell you the truth or anything at all. Ask them if there’s another topic you could contribute on. In the meantime, repeat Step 5 with other top blogs until you get a positive answer. Once your guest blog post is published, go back to Step 3 and dream up another idea. Don’t ignore the published blog post though; promote it, watch how people react to it and respond to their comments. Keep going until you reach your goal of 3-5 guest blog posts. If you need to contact more than the 5 top blogs that you found initially, go back to Step 2 and look for more top blogs. 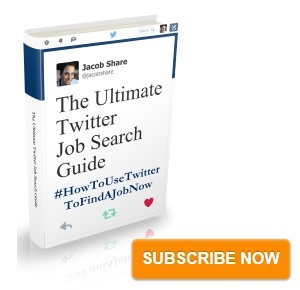 Subscribe to JobMob via email and follow me on Twitter for more tips about how to use blogging for job search. Awesome step by step detailed process. There is no confusion that guest blogging is a great way to earn money and personality. Using guest blog posts is a remarkable way to get known by potential employers. It not only shows how well you know your field, but it also displays a bit about your personality, your insights, and your grasp on certain things. This is certainly a good article in creating a simple start-up online portfolio for yourself. Do check out my blog for more insights about career and personal development on http://jameslewistalks.wordpress.com/ Cheers!